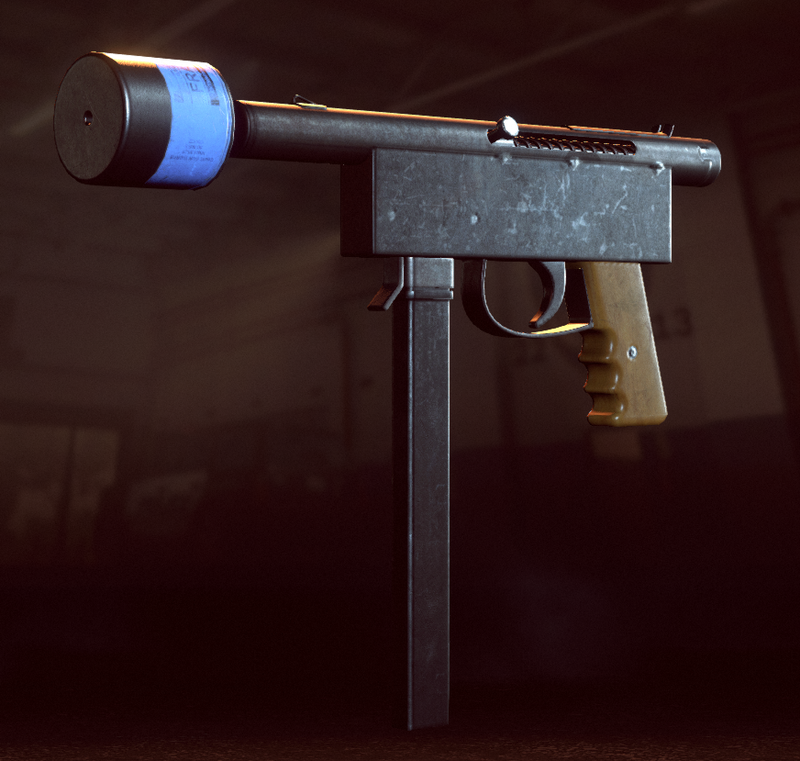 The ‘Improvised Gun’ featured in Battlefield Hardline: Betrayal is copied directly from one of the homemade submachine guns seized in Brazil which was posted here. This entry was posted in Submachine guns and tagged Battlefield Hardline, Brazil, homemade firearms, homemade guns, homemade pistols, homemade SMG, homemade submachine guns, illegal firearms on January 31, 2016 by ImproGuns. 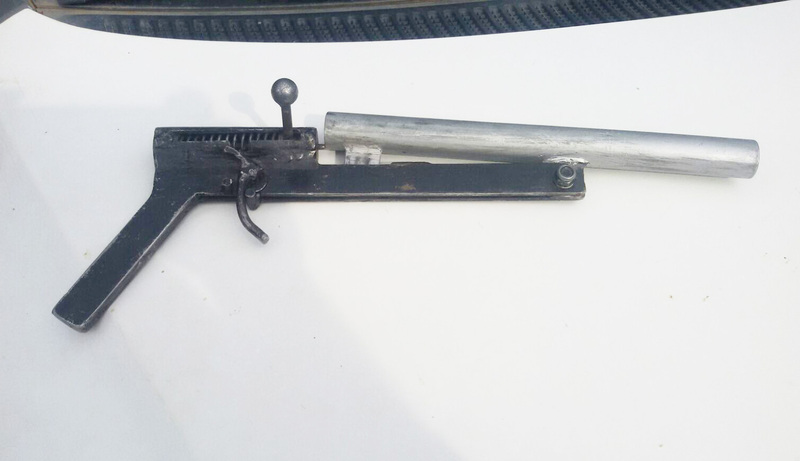 A crudely made shotgun pistol with a simple external bar trigger to release its bolt. Seized in Brazil. 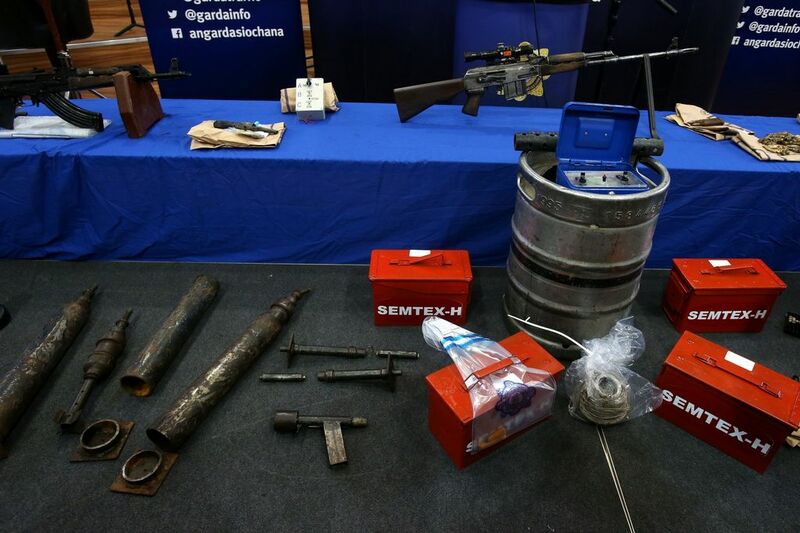 This entry was posted in Shotguns, Single-shot pistols, Zip guns and improvised firearms and tagged Brazil, crime, DIY, 自家製の銃, firearms, gun control, guns, homebuilt guns, homemade firearms, homemade guns, homemade pistols, homemade shotgun, homemade shotguns, Not 3D printed, zip guns, zipgun on January 22, 2016 by ImproGuns. 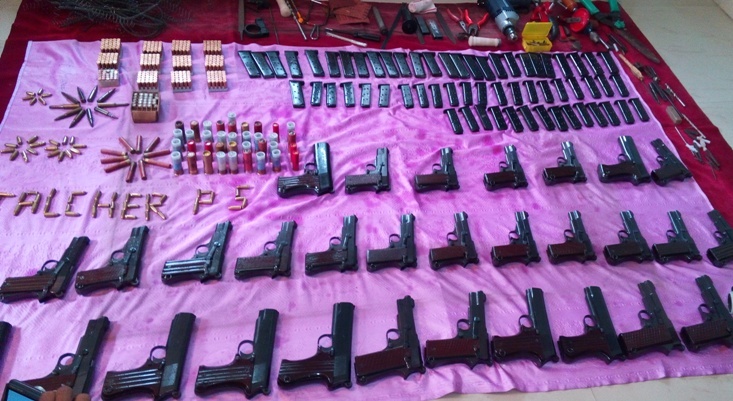 In August police raided an illegal gun factory manufacturing automatic pistols in Talcher, Odisha. 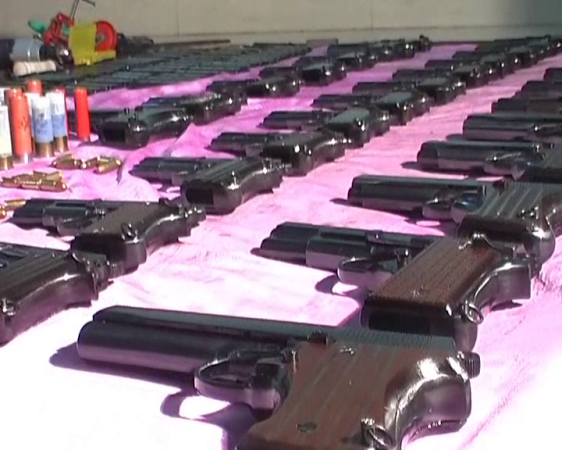 The illicit operation which at the time had 31 pistols assembled was being run from a two-storey rented house. This entry was posted in Semi auto pistols and tagged country made pistols, gun control, homemade firearms, homemade gun, homemade guns, homemade pistols, illegal firearms, India on January 14, 2016 by ImproGuns. 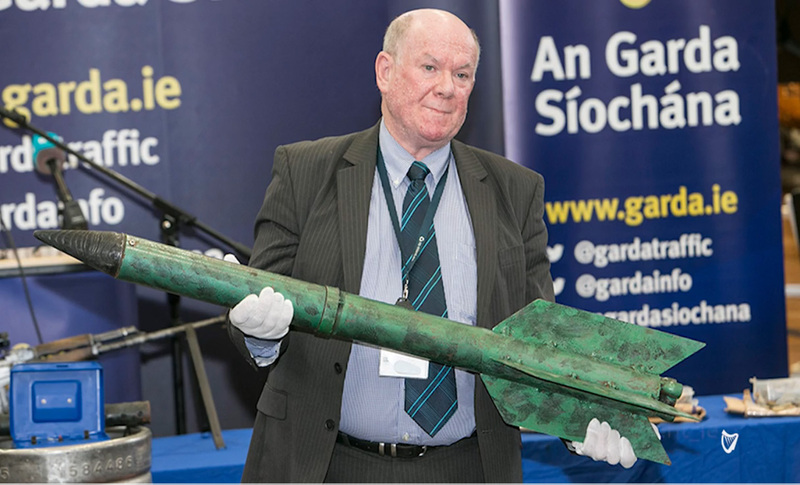 Various improvised weapons on display which were recovered in the Republic of Ireland during 2014-2015. 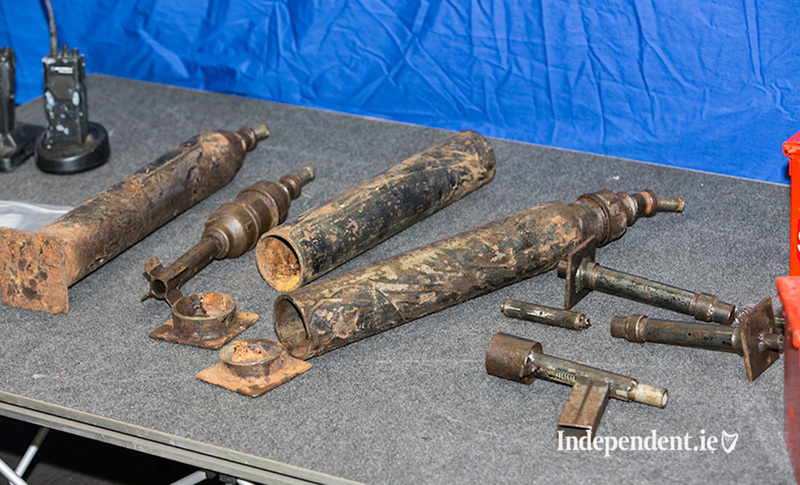 Included are horizontal mortars and components, a beer keg bomb and two makeshift rockets, obviously reminiscent of the ‘Al Qassam’ models frequently used by Hamas militants. 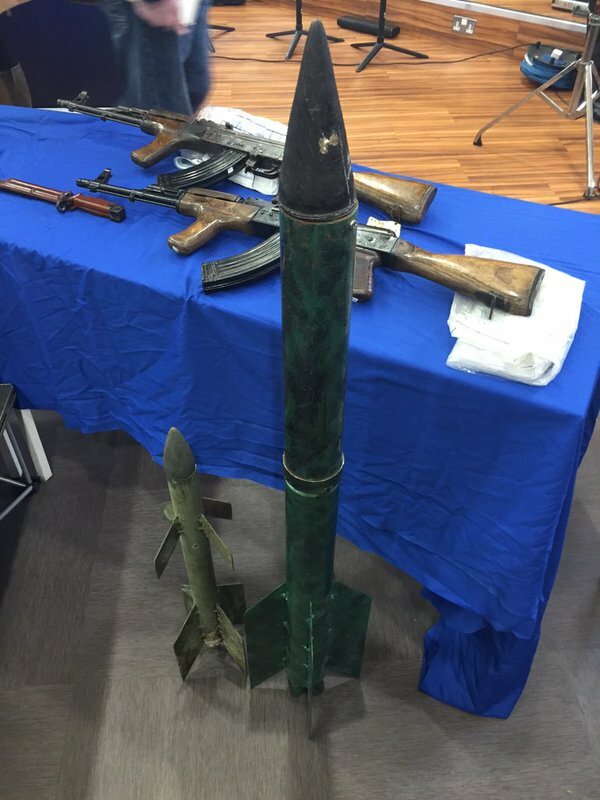 This entry was posted in Rocket and grenade Launchers and tagged homemade mortars, IED, improvised rockets, IRA, mortar, mortars, rocket on January 9, 2016 by ImproGuns. 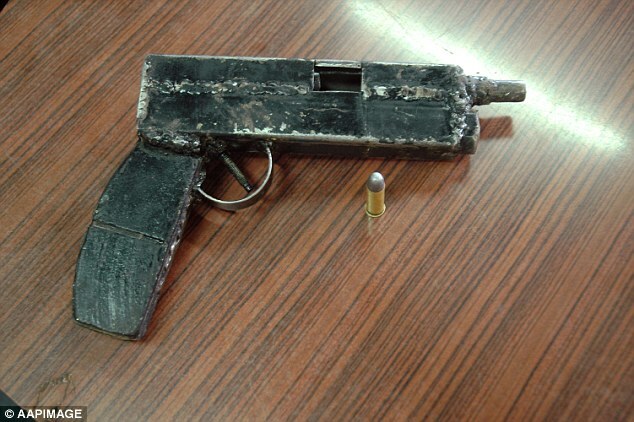 An open-bolt type single shot firearm seized at a home where a three year old suffered leg injuries from a gun shot. Yet another example which proves that despite restrictive gun laws being in place, people will always find ways to illegally acquire them. This entry was posted in Zip guns and improvised firearms and tagged .22lr pistol, Australia, crime, DIY, firearms, gun control, guns, homebuilt guns, homemade .22, homemade firearms, homemade gun, homemade guns, homemade pistols, improvised firearms, Not 3D printed, zip guns, zipgun on January 8, 2016 by ImproGuns. 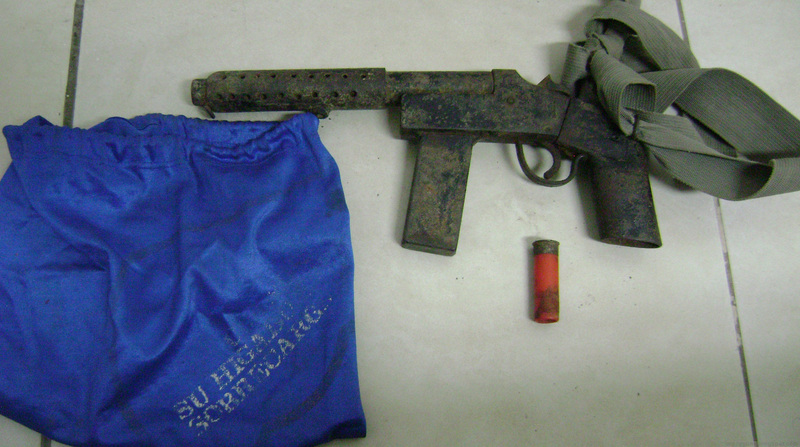 A frequently encountered model of locally crafted 12 gauge shotgun with foregeip and heat-shield seized in Ecuador. This entry was posted in Shotguns and tagged crime, DIY, Ecuador, firearms, gun control, guns, homebuilt guns, homemade firearms, homemade gun, homemade guns, homemade pistols, homemade shotgun, homemade shotguns, pipe guns on January 3, 2016 by ImproGuns. 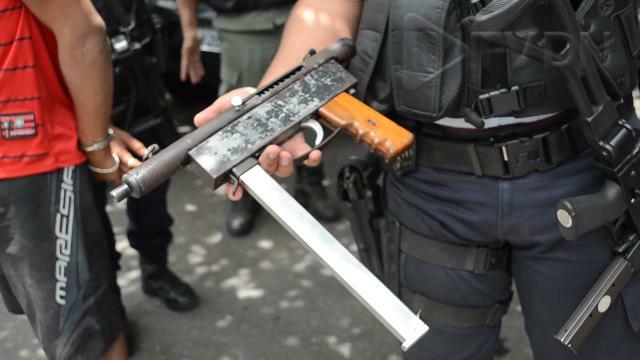 A homemade 9mm SMG amongst guns seized from a car in São Leopoldo last year. The suppressor mounted on it probably isn’t all too effective. This entry was posted in Submachine guns and tagged Brazil, crime, firearms, gun control, guns, homebuilt guns, homemade firearms, homemade guns, homemade SMG, homemade submachine guns, illegal firearms on January 2, 2016 by ImproGuns.